AMC Is Taking PREACHER To Pilot | Birth.Movies.Death. The classic Vertigo series could be your next Sunday night obsession. With the loss of Breaking Bad and soon Mad Men, AMC is looking at a big hole in their schedule, one that shows like The Killing and Low Winter Sun haven't quite been able to fill. 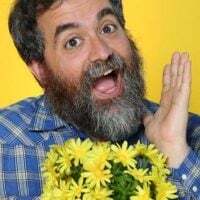 While they have the ratings juggernaut that is The Walking Dead, they still need something that will be a buzz show, that will get a ton of attention and make a cultural impact. They're betting that show will be Preacher. Sources tell me that the network has ordered a pilot based on the classic Vertigo comic by Garth Ennis and Steve Dillon. 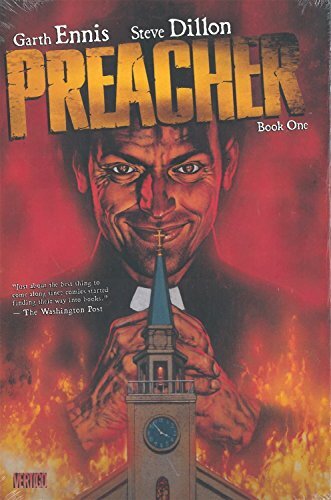 In the comic Jesse Custer is a small town preacher who is torn by booze and sin and who finds himself the vessel for a strange entity - the child of a mating between an angel and a demon. Filled with immense power, including The Word of God, which makes anyone do whatever he says, Jesse goes hunting for the Lord Almighty, who has abandoned creation. He aims to make him pay for leaving his children behind. Joining Jesse on his journey is his ex-girlfriend Tulip, who is now a hit woman, and a hundred year old Irish vampire named Cassidy. Along the way they battle secret religious commandoes, the retarded descendent of Christ, a guy who fucks meat and even each other. The comic is profane and blasphemous, and if AMC takes it to series they're showing a commitment to upping the R-rated quality of what we've seen on The Walking Dead. It isn't so much that Preacher is hyper-violent - although it can be - but rather that it tackles hot-button religious issues with all the subtlety and grace of a loud wet fart in church. Preacher has been out in the world of almost getting adapted for a while; it all started back in 1998 when Garth Ennis wrote a draft of a script and Kevin Smith tried to get Harvey Weinstein to make it. Along the way we've seen people like Rachel Talaly, DJ Caruso and Sam Mendes attached to direct. I don't know who is attached to the TV series, but I hear the names are big and impressive. The sprawling, road trip nature of the comic lends itself to TV more than movies in my opinion. I think AMC will take the show right to the edge (if it goes to series), and I wouldn't be shocked to discover they shoot alternate, crazier versions for Netflix and home video. And of course going to series is the next big hump; this property has been floundering in adaptation for a lot of years, and there's no guarantee this version will get any farther than previous ones.